Purchase your $20 tickets today! In South Carolina, more than one million citizens live in food deserts where there is limited or no access to healthy affordable food. These regions can be found in every part of our state. Enabling residents in these neighborhoods to have access to healthy food can make a difference to them and to their communities in a variety of ways including spurring economic development, creating jobs, and reducing high obesity rates that result from the lack of healthy affordable food options. 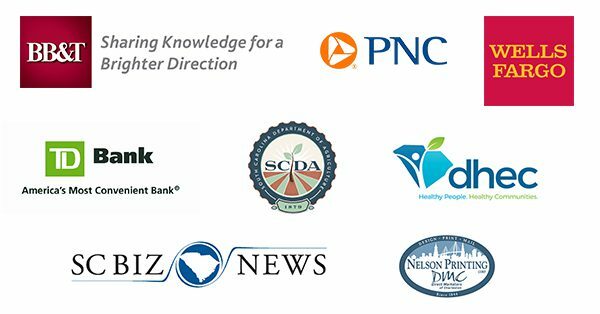 The third annual SC Food Access Summit will focus on increasing healthy food access through local food policy and community-led advocacy efforts. Throughout the day, you will have the opportunity to hear from local and regional leaders who have successfully led advocacy and policy change efforts to increase food access in their communities. To provide you with the tools you need to develop and implement similar efforts in your community, the afternoon session will focus on regional breakouts facilitated by Community Food Strategies. The summit will provide attendees with an opportunity to network and connect with other food advocates across the state, and to learn about strategies for influencing food policy in their regions. Whether you are curious about food policy and the role it plays in our healthy food systems or ready to integrate a food policy council in your community, this summit will provide you with the insight and engagement strategies you need. 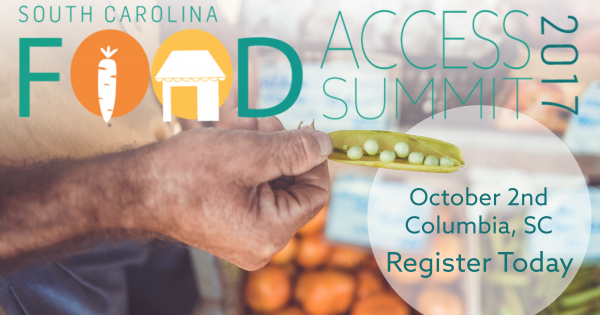 NEW THIS YEAR: The SC Food Access Summit is an approved continuing education program and attendees are eligible for 3 CEU Credits! Mayor Steve Benjamin has served as Mayor of Columbia since April 2010, but his service to Columbia began in 1990 when he served as student body president at the University of South Carolina, later becoming the Student Bar Association President at the USC School of Law. Mayor Benjamin is currently the Second Vice President of the U.S. Conference of Mayors and will assume presidency of the conference in 2018. In addition, he is Chairman for Municipal Bonds for America, teaches a class at the University of South Carolina Honors College and is a member of Kappa Alpha Psi Fraternity, Inc. and Sigma Pi Phi. Tickets are $20 each, and lunch is included. Sponsorship opportunities now available! Download the 2017 Sponsorship Packet for more information.